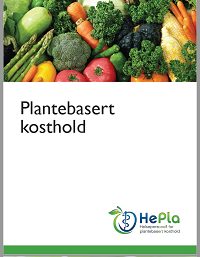 Det er en bred faglig enighet om at vegetarisk kosthold har flere helsefordeler. Her er noen nøkkelstudier. Le LT, Sabaté J. Beyond meatless, the health effects of vegan diets: findings from the Adventist cohorts. Nutrients. 2014 May 27;6(6):2131-47. doi: 10.3390/nu6062131. Review. PubMed PMID: 24871675; PubMed Central PMCID: PMC4073139. Key TJ, Appleby PN, Crowe FL, Bradbury KE, Schmidt JA, Travis RC. Cancer in British vegetarians: updated analyses of 4998 incident cancers in a cohort of 32,491 meat eaters, 8612 fish eaters, 18,298 vegetarians, and 2246 vegans1,2,3,4. Am J Clin Nutr. 2014 Jul;100 Suppl 1:378S-85S. doi: 10.3945/ajcn.113.071266. Epub 2014 Jun 4. Academy og Nutrition and Dietetics har konkludert med overbevisende sammenheng mellom vegetarisk kosthold og redusert risiko for å dø av iskemisk hjertesykdom (hjerteinfarkt): Craig, W. J. og Mangels, A. R. Position of the American Dietetic Association: vegetarian diets J.Am.Diet.Assoc. (109), 7, 1266-1282. Dis. 2013 Apr;23(4):292-9. doi: 10.1016/j.numecd.2011.07.004. Epub 2011 Oct 7. PubMed PMID: 21983060; PubMed Central PMCID: PMC3638849. Tonstad S, Butler T, Yan R, et al. Type of vegetarian diet, body weight, and prevalence of type 2 diabetes. Diabetes Care. 2009;32(5):791-6. Huang RY, Huang CC, Hu FB, Chavarro JE. Vegetarian Diets and Weight Reduction: a Meta-Analysis of Randomized Controlled Trials. J Gen Intern Med. 2015 Jul 3. [Epub ahead of print] PubMed PMID: 26138004. Barnard ND, Levin SM, Yokoyama Y. A systematic review and meta-analysis of changes in body weight in clinical trials of vegetarian diets. J Acad Nutr Diet. 2015 Jun;115(6):954-69. doi: 10.1016/j.jand.2014.11.016. Epub 2015 Jan 22. Review. PubMed PMID: 25620754. Michael J. Orlich, MD; Pramil N Singh, DrPH; Joan Sabaté, MD, DrPH; Karen Jaceldo-Siegl, DrPH; Jing Fan, MS1; Synnove Knutsen, MD, PhD; W. Lawrence Beeson, DrPH; Gary E. Fraser, MBchB, PhD: Vegetarian Dietary Patterns and Mortality in Adventist Health Study 2. JAMA Intern Med. 2013;173(13):1230-1238. doi:10.1001/jamainternmed.2013.6473.